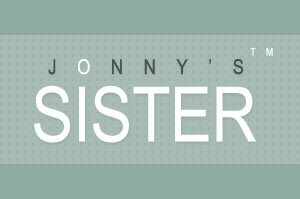 In our continuous search for the latest handmade cushions, we have found this lovely website called Jonny’s Sister. Although some of their products can be found on notonthehighstreet.com, the website hosts many original products handmade to order using beautiful fabrics. Their main product is the Love Letter, a handmade cushion in the shape of letters of the alphabet, available in a variety of fabrics and sizes. To create an impact and make a statement, there is the large Love Letter or to make a personal and unique gift, there are the standard Love Letters (these are great handmade cushion ideas to make yourself!). The site also offers more traditional cushions such as the embroidered Christening cushion or the wedding cushion. We have also found these gorgeous embroidered lavender bags for only £11.50, perfect to hang in a bedroom, dressing room or anywhere you want the delicate scent of French lavender. There are many more products and we suggest you to visit this lovely website, nominated for the Sheerluxe Online Shopping Awards. Give them you support and vote for them here!